We provide products, services and turnkey solution in the power and water supply business sectors and applications. 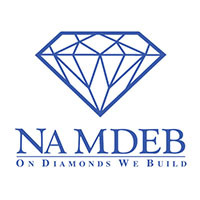 Innovative products and services are offered to provide long term reliable solution in Namibia's harsh weather and geographical condition. We offer: Generators and UPS systems, Solar Panels and Solar Grid Systems, Solar Water Heaters, Solar Geysers, Water Pumps, Water Storage and Tanks - from the most reliable brands such as Solahart, John Deere, Grundfos, Abeco, INVT and other. We cater for Generator and UPS applications in all sectors of the economy. We cater for various renewable energy applications – Solar Water Heating , Solar Water Pumping and Solar Grid Feed. 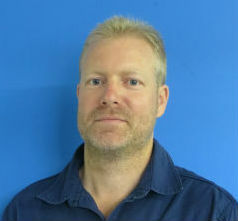 We cater for all pumping requirements in the agricultural, industrial, commercial, domestic and mining sector. 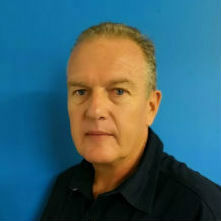 We cater for various bulk water storage applications to all sectors in the economy. We specialize in sectional steel tanks – either ground level or elevated. 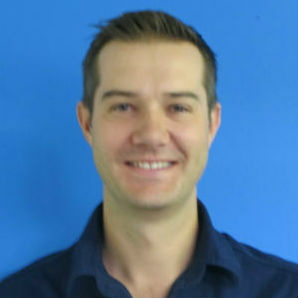 NEC Power & Pumps (Pty) Ltd is a member of the NEC Group of companies. Since the founding year in 1958, energy and water supply has been a key element in the activities of NEC Power & Pumps. 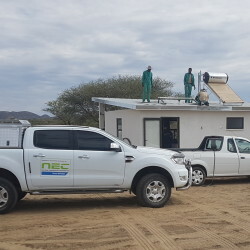 With high quality products and years of experience and good reliable workmanship, NEC Power & Pumps contributed to the socio economic development of Namibia. Click here to learn more about NEC. Each and every one of our employees represent the spirit of our company: driven, committed, and acutely aware of how limitless NEC’s potential is to grow. 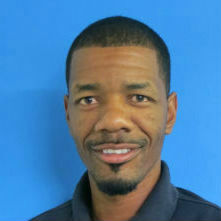 Click here to learn more about our team and what motivates them. Considering to join our team? Click here to submit your CV. We are very fortunate to be involved with some pretty great companies and organizations. Click here to see more. NEC is partnering with PolyCare to provide low cost housing solution to the nation. NEC Power & Pumps (Pty) Ltd is proud to celebrate it’s 60th anniversary this year – and it is the same core of “Power” and “Pumps” that started it all way back in 1958, when young pioneers travelled the land selling pumps and gennies from the back of their Landies. 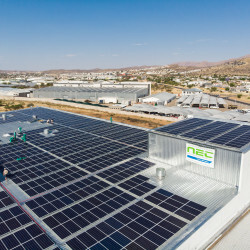 Another two companies have joined the ever increasing portfolio of Namibian businesses investing in the purchase of a solar system: Zimmermann Garage in the Southern Industrial Area (90 kWp) and Fresh Produce Market in Prosperita (406 kWp), Windhoek. 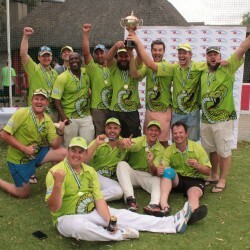 NEC Power and Pumps as a sponsor of the Green Mambas Cricket Club is proud to announce that after 3 years they have finally clinched the win this past Saturday against Oranjemund. 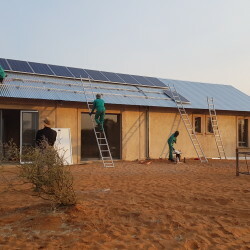 Beginning of August this year NEC installed another off-grid Solar System Off-Grid on a farm. 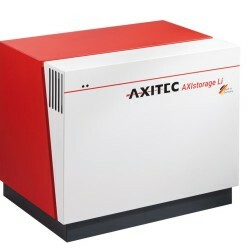 The owner opted for the new AxiStorage Lithium Ion batteries, which are maintenance free and offer a long term, high quality solution to any client. 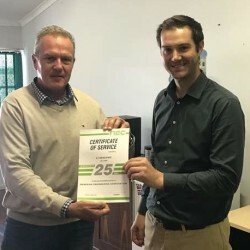 We are very excited to congratulate our CEO, Niko Brueckner, on his 25 Years Service! Clearly, reaching this milestone is a very special occasion. 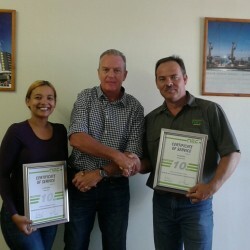 Both form our Walfish Bay office celebrated their 10 year anniversary recently taking care of the Liebherr Mobile Harbor Cranes fleet operated by Namport. Introducing AXIstorage Li 9S – a high-performance lithium-ions-energy storage for residential, e-mobility and commercial applications. 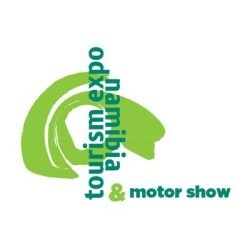 At this years’ Tourism Expo, NEC Power & Pumps will again be available to provide you with more information on solar water heater systems used in domestic and / or commercial applications as well as solar PV systems to generate electricity or various applications. 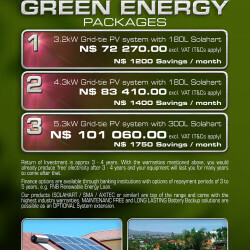 Don’t miss out on NEC’s super deals and start saving on your monthly bills up to N$ 1750 now!